Today I’m showing you how I whiten my teeth at home with the At Home Instant Teeth Whithening Kit from Smile Bright. I have never tried any type of teeth whitening, so I was extremely happy when this whitening kit from Smile Bright came in the mail. The whitening kit comes with instructions & a tooth whitening shade guide. 1. Rinse your mouth with water. 2. 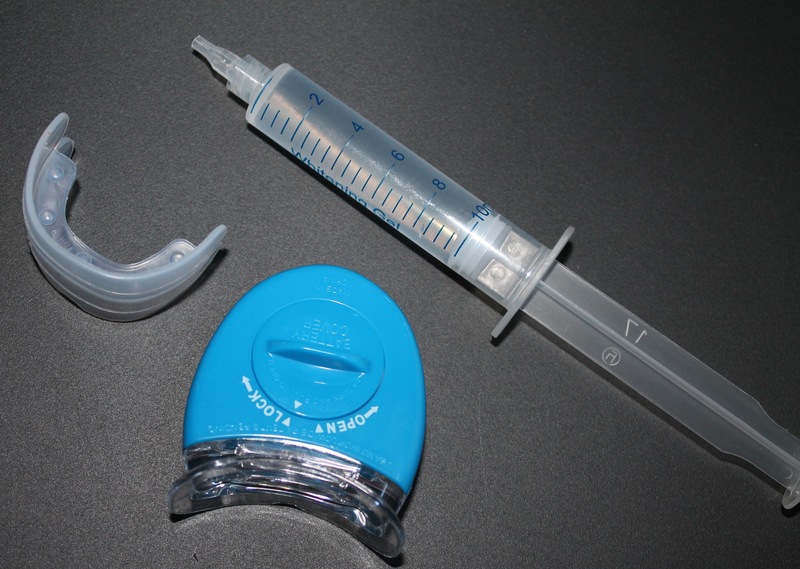 Apply a thin line of the whitening gel across the bottom part of the pieces, and insert the mouth pieces into your mouth. 3. 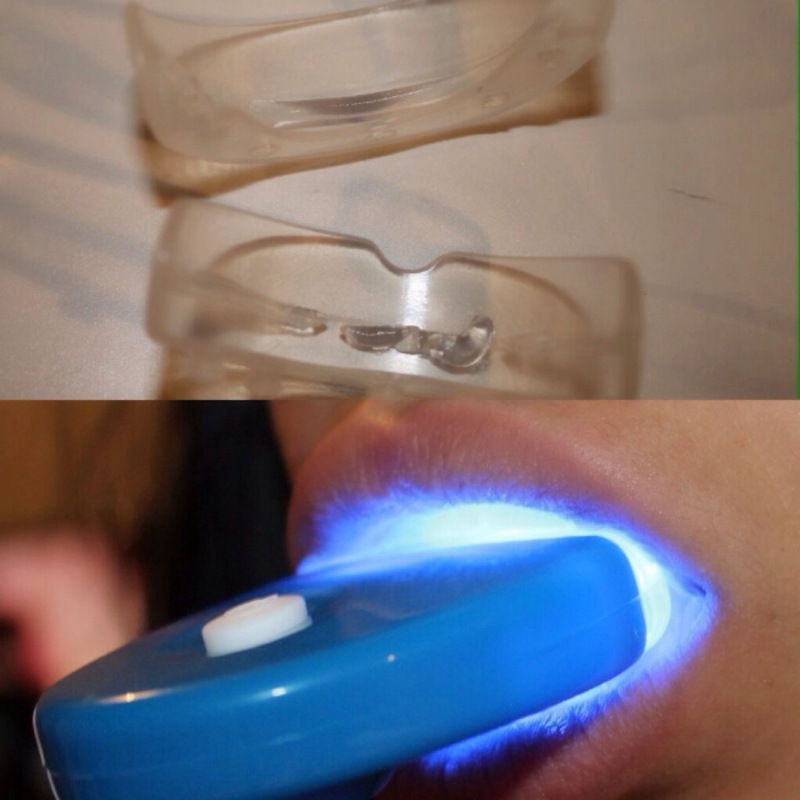 Turn the mini LED light on and place it directly on top of the mouth piece inside your mouth and leave it for 30 min (it is recommended to do 2 sessions x 30 min, as my gums are sensitive I do one session). ❤️ Wipe away any access gel that may be on the gums, as this may bleach the gums. ❤️ It is recommended to use the kit for 3 days in the first week to gain maximum results. ❤️ Do not drink or eat anything that will stain your teeth for 2 hours, examples: berries or red wine. Since this is my first time trying to whiten my teeth, I think it went well and I have seen great results already. Overall I think this is a great kit to buy if you want to try to whiten your teeth at home, as it comes with everything you need and it is a very affordable kit. 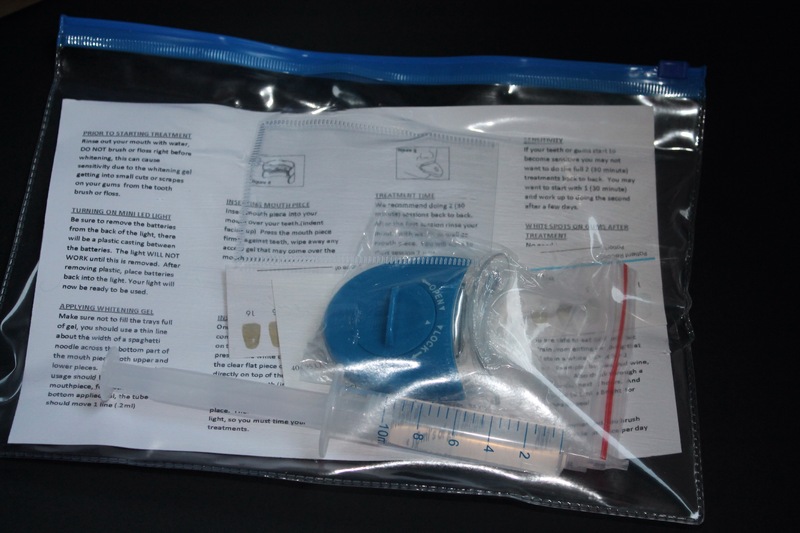 Have you ever tried any at home teeth whitening kits? i am very interested in doing this… let me know if you get sensitive teeth after a while.